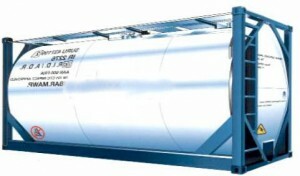 Iso tanks are pressurized and insulated cylindrical tanks contained within an ISO frame. The ISO frame is the standard size established by the International Standards Organization (hence ISO), and allows for easy stacking and transportation, while maintaining the massive structural strength required for the vacuum sealed, high pressure tanks. Iso tank transport allows for a versatile liquid shipping solution, whether you’re interested in shipping food grade liquids like juice or wine, or more volatile liquids, as is the case in shipping alcohol. If you’d like to find out more, or put KanHaul to work for you, please contact us. Kan-Haul is a great company to work with! They are professional and respond to calls quickly. If you have any food transportation needs I recommend you call them.